Successfully Added MP4 + MP3 Player 1GB - 2.0 Inch Screen + Built in USB (Red) to your Shopping Cart. 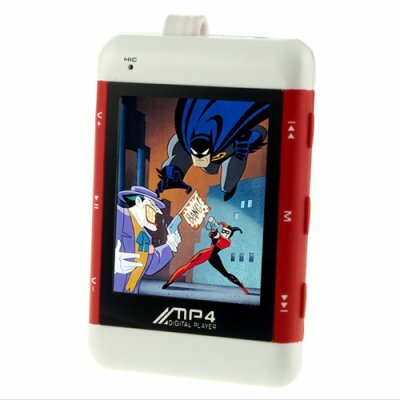 MP4 + MP3 Player 1GB - 2.0 Inch Screen + Built in USB (Red). Ultra portable MP4 player with a 2.0 inch LCD screen and a very unique built in USB in a hidden pocket in the back for fast connection and charging from your computer without the need for extra cables. With a thoughtful mix of features such as a colorful 2.0 inch LCD, multiple file playback, incredible enhanced sound via SRS and WOW for music and movies, a microSD card slot for expanding memory, selectable FM channels with the ability to record them, and much more, the CVAAL-N1 makes a great digital media player for just about everyone who enjoys audio and video while on the go. Purchase one of these no M.O.Q. (no minimum order quantity) portable media players for yourself to see how good it really is, then order in bulk for even bigger savings on the wholesale price and shipping costs. Bonus: Premium quality gold plated earphones now included! Note: This product plays MP3 and WMA music files. Video files need to be in the AMV file format. We recommend using the included software or even better open source tools like "MP3 Player Utilities 4.10" to convert your existing video media files into AMV format files.